At Roseberry Funeral Services, we offer a range of bespoke funeral services to ensure your needs are fully met. We would like to say a big thank you to Michelle and her colleagues at Roseberry Funeral Services for the excellent service we received particularly in going that extra mile to support us so well at such a difficult time. You have been so caring and understanding of our needs to come together to ensure that we gave our beloved Mam the best possible send off. You took away so much of the stress involved in handling and planning the funeral which has been godsend. Giving you five stars is fully deserved. Having recently used the services of Roseberry Funeral Services, I would just like to say a big thank you to Michelle and her team for the help and support my family and I received during a very difficult time. Nothing was too much trouble for them. Amazing, heart felt service from Liz. My family have had excellent service, so professional and compassionate, from Michelle at Roseberry Funeral Service. The team there are caring, professional but warm hearted. I have no hesitation in recommending Michelle and her team. We will go back for other family funeral when the need arises. Thank you. Thank you so much for all you have done for my family during this very difficult time. You showed us care, compassion, and love. Your services were so professional, compassionate and friendly. We can't thank you enough. Michelle and Roseberry Funeral Service - Just a note to say thank you for the excellent service you provided following the sad death of my mam on 27th July. 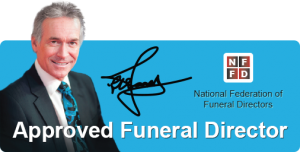 Your professionalism and compassion ensured that everything went smoothly and stress free from our first meeting to the cremation service. The funeral was a true reflection and celebration of mams life and personality. Thank you seems a small word for what you and everybody at Roseberry's have done for our family. During such a hard time in our family your kindness meant so much, the support you have given is overwhelming, you took a lot of the strain away at such a difficult time and we can't thank you enough. It just goes to show there is more good in the world, use have been amazing. You gave our Mam a beautiful send off and we wouldn't of been able to do that if it wasn't for the truly kind and caring way you have helped. "To Graham and Co A very special thank you to Graham, Everything was as we wished for and more. Forever grateful." 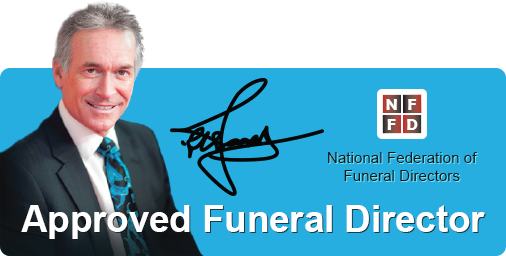 "Everything went so smoothly and I really loved the tradition and respect you paid walking in front of the hearse. It doesn't sound right to say it was a lovely funeral, but it really was."